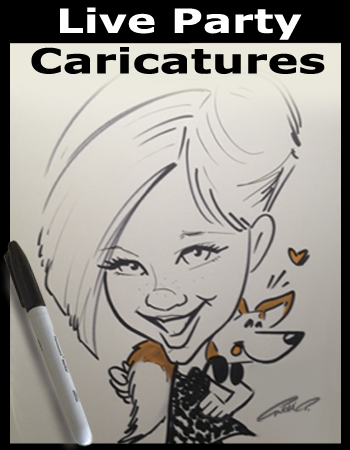 Even Your Pets Can Get In on the FUN ... Yay ! 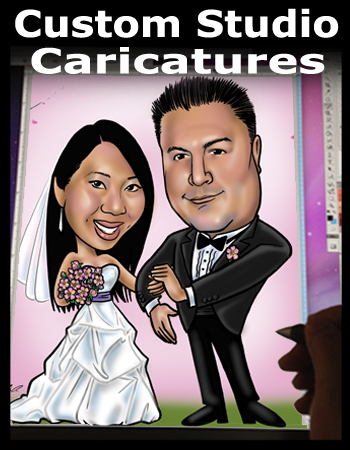 Live Party Caricatures: It's Entertainment and Party Favors in One! 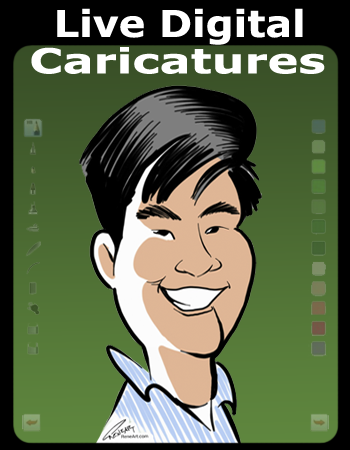 Live Digital Caricatures: A Classic Art Form goes High Tech!